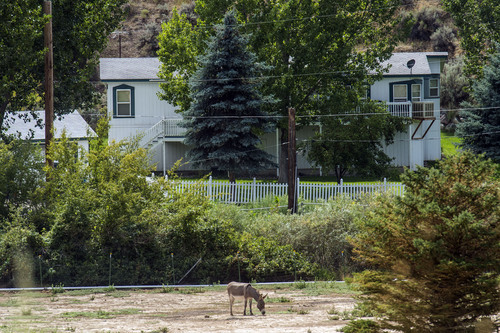 Polygamy • The state wanted to send them home to save on foster care, prosecutor says. 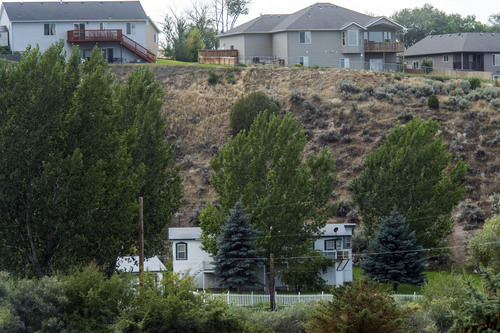 The agency responsible for child protection in Idaho wanted to send eight boys from the Fundamentalist Church of Jesus Christ of Latter-Day Saints home with their parents to save the state money, a prosecutor said last week. Ian Service, a deputy Bannock County prosecutor, said he wanted the boys to remain in foster care. 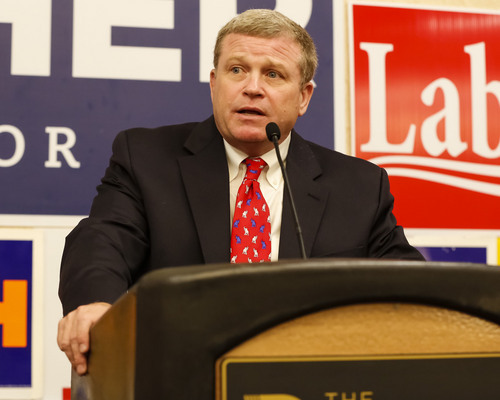 The disagreement was so great, Service said, that the Idaho Attorney General&apos;s Office petitioned to join the juvenile court case and represent the Idaho Department of Health and Welfare. Normally, Service said, the county prosecutor would represent the department. A deputy attorney general later said he would appeal any ruling keeping the boys in foster care, Service said. "It&apos;s the first case in my career where I had such a juxtaposition between the county and the state," Service said. A judge returned six of the boys to parents earlier this month. Two boys remain in foster care because they did not want to return to their mother or the FLDS, a polygamous sect. 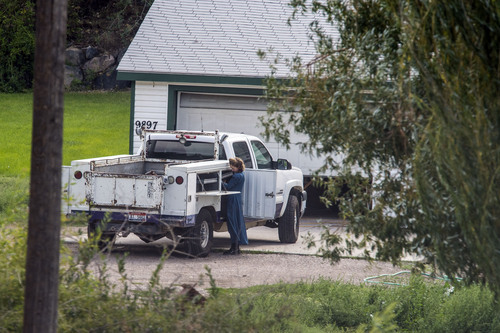 Service said money was discussed from the day a judge granted a petition to remove the boys from the home of an FLDS caretaker in Pocatello. Service said he and a social worker were with police at the home. The social worker "was like, &apos;Where am I going to place these kids? And my boss is going to throw a fit about the costs," Service said. 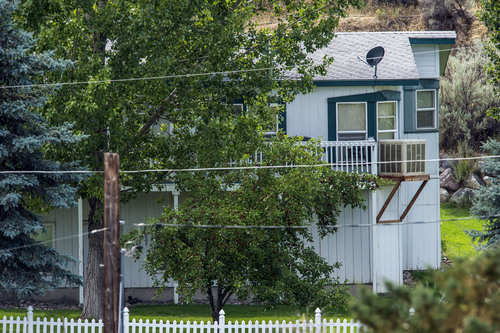 Health and Welfare and law enforcement removed eight boys from the Pocatello home on July 10. A sheriff&apos;s report indicates their ages ranged from 12 to 17. A ninth boy had been living there but was not located. At a hearing on Aug. 11, a judge dismissed the custody cases for six of the boys, ordering two teenagers to remain in state custody. Spokesmen for Idaho Health and Welfare and the attorney general on Friday denied money motivated the state to send the boys home with their parents. "Our social workers, they don&apos;t even know what it costs to put a kid in foster care," said Tom Shanahan, the spokesman for Health and Welfare. Shanahan also pointed out that the department can only make a recommendation, and then it&apos;s up to a judge to decide where to place a child. Todd Dvorak, a spokesman for the Idaho attorney general, said the office did not pressure Bannock County to return the boys to their parents. "That&apos;s not how this office operates," Dvorak said. "We did our job, our role as attorney to the client, and in this case it was Health and Welfare. We did not put any pressure on the prosecutor to do anything." 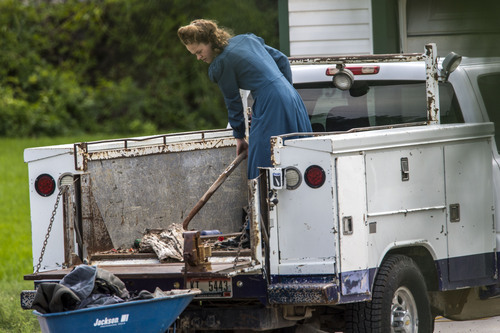 After the boys were removed from the home, they told police they and their caretaker, Nathan C. Jessop, were sent on "repentance missions" by FLDS President Warren Jeffs. Jeffs is serving a sentence of life plus 20 years in Texas for sexually assaulting two girls he took as wives. Jessop on Thursday pleaded guilty in Idaho&apos;s 6th District Court to three misdemeanor counts of injury to a child. Under an agreement with prosecutors, he is to serve 10 days in jail and two years of probation. His sentencing is scheduled for Sept. 30. The boys told investigators that Jessop hit them with brooms and boards and made them stand in the cold with no coats. 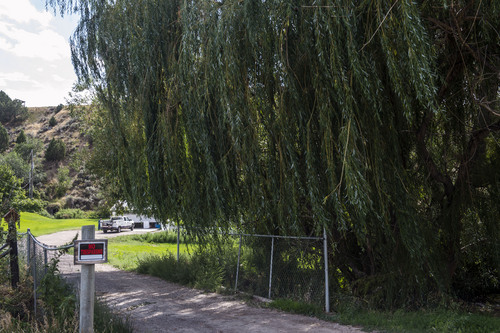 Police could not document those instances, but were able to prove that Jessop twice failed to report that boys had run away and once required a boy to remain in a furnace room for up to two days. Some of the boys said they had not seen their parents in two years or spoken to them in 10 or 11 months. Service said he considered the parents to have abandoned their children. 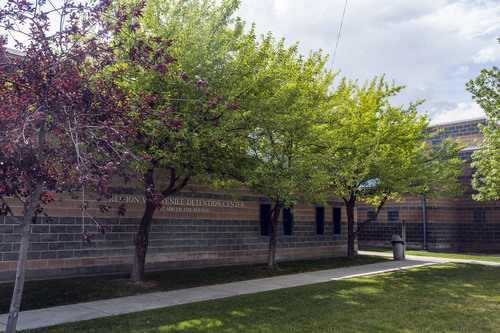 He said he fears the parents will again succumb to the wishes of FLDS leaders and allow their children to be physically or emotionally abused or neglected. "Some of these parents haven&apos;t had contact with their boys for two to five years," Service said. "To me that is not a normal parental relationship." But Health and Welfare was OK with returning the boys to their parents. Service said he participated in a conference call in which a department administrator specifically complained about what it would cost to keep so many kids in foster care. At one point during the call, Service said, he got so angry that he told the administrator he could have the files for all 150 of the child protection cases where Bannock County was representing the department, and Health and Welfare could find another attorney. Service said the administrator became more diplomatic after the threat. But soon after, Idaho Deputy Attorney General Jim Price filed a motion to intervene in the case and represent Health and Welfare. The judge granted the motion, but the Bannock County Prosecutor&apos;s Office was allowed to remain a party in the case. Service said he, Price and attorneys representing the mothers and the boys entered into negotiations that continued right up until the Aug. 11 hearing. The discussion became complicated, Service said, because some of the appointed attorneys for the boys had not spoken to their clients before the hearing was about to start, and Service had to explain to those lawyers that two of the boys didn&apos;t want to go with their mother. Attorneys quickly huddled with their child clients outside the juvenile courtroom. Price, Service said, also said that if Service was successful in keeping any of the boys in foster care, Health and Welfare would appeal. "So here&apos;s this crazy pressure from a side I&apos;ve never had before," Service said. The hearing started an hour late, but before it did, a deal was reached. Service and Price would recommend that six of the boys be released from state custody and allowed to go home with their parents. The two boys who did not want to go would remain in foster care. "My choice to take the quote, unquote deal was in the best interest to keep jurisdiction on these two boys without getting stuck in appeals," Service said. Shanahan would not speak specifically about the FLDS boys&apos; cases, citing a Health and Welfare policy against discussing specific children. But he said the department policy is to reunite families when practical, and that the department does not agree to return any child to a parent without first conducting a background check and inspecting the parent&apos;s home. "If you have parents and you&apos;ve checked them out, why should you be paying to keep [children] in foster care?" Shanahan said. Service is not the only person to complain about the outcome of the custody cases. Bradley Willis, the court-appointed special advocate in Bannock County, objected at the Aug. 11 hearing to returning seven of the eight boys. 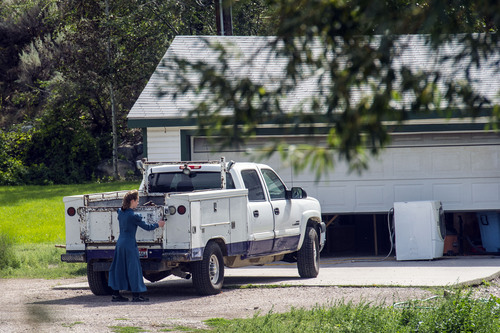 Willis approved of allowing a 17-year-old boy to go to Colorado to live with his father, saying that teen was old enough to ignore FLDS influences, should he choose. Willis on Wednesday told The Tribune he believes cost was a factor in the state&apos;s position to send the boys to their parents. After the hearing, former Bannock County Sheriff Bill Lynn, who volunteers with a special advocate program, wrote a letter to some of the parties saying some officials had "lost their vision in regards to these kids and were swayed by a fear of the costs involved and the effort and time that would have been necessary to insure that these boys had a chance at a decent future." 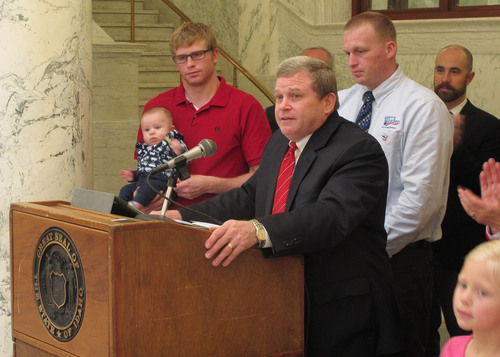 At the hearing, some of the mothers said they had taken up residence and jobs in Idaho. Service said those statements, and the Health and Welfare background checks and home inspections, did not soothe his concerns. He said he believes the FLDS can be inherently transient. One mother, Service said, rented a recreational vehicle at a campground next to the home where the boys were living. "They probably all left the state the day after the hearing," Service said.